Restaurant and bar’s staff very nice . Entertainment was great. The girls were very friendly. Location and food were very good. Staff were very helpfull. Wifi was quite fast. Location great for beach, shopping, bars, transport etc... Reception staff friendly. Pool bar drink prices were reasonable Entertainment was okay. Nice hotel, with a good selection of fare both at evening meal & breakfast. GVFM. Rooms were clean and comfortable ,cleaned every morning , large selection for breakfast , hotel in good location in salou ,close to beach front and shops. Pool are was lovely , pool very clean and never an issue getting a sun lounger .Special mention to Manish in the pool bar , lovely guy as were most of the staff. Friendly staff - reception and cleaners. Good location with bus stop and tourist information close by. Hotel Best Mediterraneo This rating is a reflection of how the property compares to the industry standard when it comes to price, facilities and services available. It's based on a self-evaluation by the property. Use this rating to help choose your stay! Hotel Best Mediterráneo is located in the heart of Salou, a 5-minute walk from Capellans Beach. It offers an outdoor pool, 24-hour front desk and air conditioned rooms with a TV and private balcony. Easily accessible from the AP7 Highway, the Best Mediterráneo is a 10-minute drive from PortAventura Theme Park. Its central location means that it is surrounded by restaurants, bars and shops. The hotel’s buffet restaurant serves Spanish and international food. There is also a bar-cafe serving drinks and snacks throughout the day. The Best Mediterráneo Hotel offers a varied entertainment program for adults and children. There is also a children’s play area and a free internet corner. When would you like to stay at Hotel Best Mediterraneo? This bright, air-conditioned room features Mediterranean-style décor and has a balcony, a TV and a private bathroom. 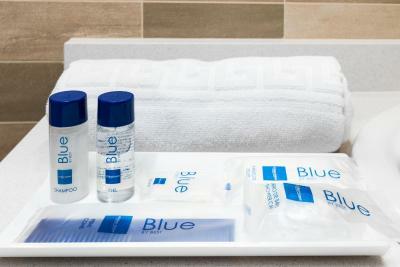 House Rules Hotel Best Mediterraneo takes special requests – add in the next step! Hotel Best Mediterraneo accepts these cards and reserves the right to temporarily hold an amount prior to arrival. Air conditioning is available from 15 June to 15 September each year. You have to pay extra for the safe. There was no kettle in room & WiFi very poor except for in foyer. Not all Reception staff was really helpfull. Staff could have been friendlier, reception didn’t really try and help except from one woman (long brown hair, not sure the name). The men at the pool bar were great, although one woman purposefully ignored us and everyday did not look like she wanted to be there. The hotel was very clean, there were always enough sun loungers for everyone by the pool. Bedrooms were basic and very dated and could now do with updating like their sister hotels to bring it up to a 4 star. Pool area was busy and no sunbeds available. Had to que up at restaurant for evening meal and waited 5/10 minutes to be given a table, then had to join a long que for Chef to cook hot food. If you wanted specific hot food for breakfast it was the same there, always a long que to wait as only one Chef cooking. Found the restaurant staff were far too miserable, and they seemed disorganised. The place is quite simple and located far from train station. The beds were very uncomfortable we stayed in April and it was cold needed warm bedding but they only supplyed 1 blanked per bed. Great breakfast staff very nice..
Tv did not work and wifi service poor and swimming pool only open at 10 am.lady in the bar not friendly. the bathroom could do with a make over tbh and there was only 2 tv channels in english but both did not have any sound for some reason even though all the other channels had perfect sound. the hotel old style ! There's no enough storage in the room for a family of 3 or 4. I haven't seen any exhaust in the toilet. The hotel is near to the beach, near to the shopping area & restaurants. We booked for half board. Everyday they have different menus. The food were amazing. There are lots of food to choose from. The presentation of the food was great...more appetising. I feel guilty everytime I eat because I enjoyed my food a lot. Therefore I go for jog-walk every morning. They served champagne for breakfast. But you have to pay your drinks at dinner time. It was more enchanting if they serve drinks at dinner time free of charge. There's a shop inside the hotel & the price is affordable. The staff were very helpful & friendly.They have different entertainment every night. The room is air-conditioned enough to cool down when you're relaxing & sleeping in the night. This hotel is family friendly. There are some entertaiment for kids as well. They do aqua sumba in the pool. The pool is clean & big enough to swim. Sunloungers & umbrellas are provided. There's a bar near the pool. We enjoyed our stay in this hotel. The weather everyday is perfect. I will recommend the hotel to everyone. I loved to come back again.